Are you interested in a career collaborating with professionals that guide and assist college bound students and their pursuit of higher education? Finishing a graduate degree program in counseling or higher education administration? Working/interning as a student in an admissions office? Interested in pursuing a career that works with high school students? Want to learn the difference between college/school counseling, undergraduate/graduate admission, independent counseling, or community based organizations? Thinking of a career change, jumping to the other side of the desk? This event will feature seasoned professionals representing the different fields of our industry discussing careers in admissions and college/school counseling. Event registration will be $10.00. Please consider joining us! 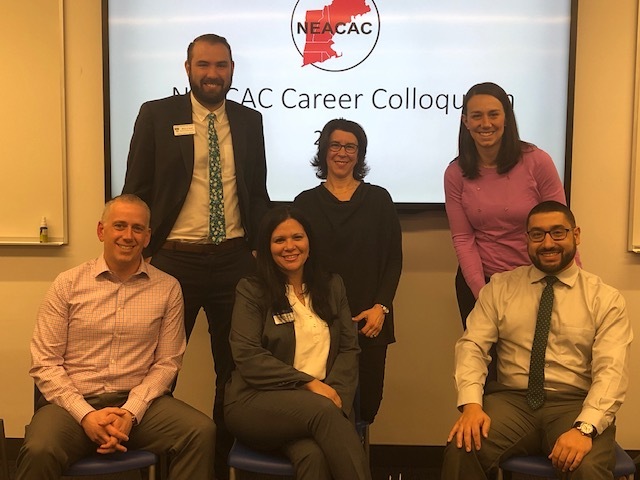 Sponsored by the New England Association for College Admission Counseling (NEACAC). For questions about the program please contact Tricia Culver at [email protected] or Karen Gerrior-Mariani at [email protected]. Check out a recent article about 'new' admission counselors (quoting New England's Diane Soboski) here.